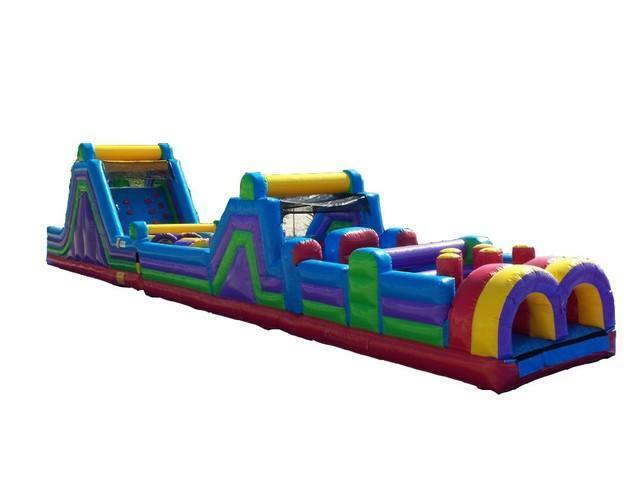 The 7 element obstacle course combined with our rock climb and slide make a 70' obstacle that will give any age group a super fun racing challenge. Rent this one for those people that like competition. Kids will run crawl climb and slide all day long it's a great way to get outside and be active.